Iridology is the study of the iris… the colored part of your eye. The iris of the eye is like a computer tracking system that logs information since the time of your conception. Your eyes reveal vital health history, including predispositions for imbalances that can occur. The most incredible thing that’s really important about why people would want to use this as a system, is because it can show a pre-disposition or it can show hereditary aspects. We can see three generations back and three generations forward. Arrange today to have your Iris Iridology session! By the way, it doesn’t matter where you live in order to have an Iridology session because we can do your reading by Phone, Zoom, Facetime, or Skype. So, what can Iridology do for you? Through a review of your iris, which is the map to your world, I can provide you with the immediate state of the inner workings of your physical body and emotional state. You’ll learn what makes you tick and how you can expand your Wellness and Awareness! Iridology (usually pronounced… eye’ rid ology) is used as an assessment tool for people of all ages… from infants to adults. I have performed many thousands of iris readings with great detail over many years, by providing powerful insights as to the state of health of the entire body and psyche’. You can now discover for yourself how your eye actually reveals the map that represents each place within your body that needs attention today. An iris reading also reflects your emotional state. So you may be asking, is iridology accurate or legitimate? Let me provide you with a reading of your eyes. And if we are doing your session online, I’ll show you how to submit an image of your eyes so that you’ll discover the important aspects about yourself that will assist with your overall health and wellness! Sunshine is a gifted practitioner! I went to see her for both an iridology appointment as well as a Core-Release Hypnotherapy session. Both were remarkable – insightful, strikingly accurate, and very, very helpful. Creating a safe environment in which I felt completely comfortable, Shine led me through the discoveries and self-observations that I needed to come to a better understanding of my health and emotions. I found a profound resolution to one of my most basic emotional issues during the journey work. I am extremely grateful to Shine and highly recommend her work! Thank you, I am forever grateful for that session! 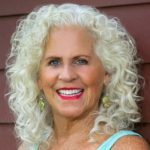 Sunshine Beeson is a compassionate professional and holistic healer that yields great results for her clients. Shine is caring and professional. Her recommendations for better health both physical and emotional are spot on and her follow up is consistent which contributes to the success of her recommended treatments. Shine’s style is direct and honest, yet caring and compassionate. I highly recommend Shine’s services. I met Sunshine by getting an introductory Iridology eye analysis. During the analysis she told me things about my mental and physical health that were accurate and insightful. I was surprised that she could know so much just by looking at my eyes! At the end of the session she suggested I see her for some emotional release work that she referred to as Core-Release-Hypnotherapy. This emotional release work helps to open up suppressed emotions, transform negative thoughts, and get to the root of issues that are unresolved. I met with her for a series of Core-Release-Hypnotherapy processing. During our sessions, Sunshine helped me find clarity and peace within myself by helping me find forgiveness and compassion for those who have hurt me, including myself. I left each session feeling lighter, more at ease, and hopeful. She gave me advice for handling stressful situations, holistic healing suggestions, and homework exercises & meditations to help me reach my goals for self healing, becoming a more patient mother, and creating a successful career. Thanks to working with Sunshine and doing my “homework”, I now feel that I have more patience, I am able to handle stressful situations better, I am more confident in making decisions, and I am able to let things go with more ease. Because of these changes, I have created more peace and harmony within myself and in relationships, I have more clarity in my thoughts and I feel happier and better about myself. Sunshine is a warm, inviting and cheerful woman. She is filled with great wisdom, insight and advice for living a holistically healthy life. She has helped me immensely, and I am so very grateful to have worked with her on my healing journey. Iridology can access all 4 domains to tune you up and turn you on to live your life beyond Mediocrity to Extraordinary! By the way, it doesn't matter where you live in order to have an Iridology session because we can do your reading by Phone, Zoom, Facetime, or Skype. The information found within this Iridology website is for general educational and informational purposes only. The content on this page, or any verbal communications thereof, is not intended nor otherwise implied to be medical advice. Maintaining your privacy is important to me. I'll uphold the highest standards, including GDPR requirements, to protect all information collected or submitted on my whatisiridology.com website. You’ll learn more about how you can expand your wellness and awareness with Iridology! You won't get slammed with emails, just a few to keep you personally informed. Thanks! Be sure to check your email inbox and make sure I'm not in your spam filter... I'm Looking forward to communicating with you soon.